BS 5534, the Code of Practice for Slating and Tiling, was first introduced as a British Standard back in 1978 and has seen various updates over the years. Perhaps the most significant revision was back in 2014, which saw wide ranging changes to the way pitched roofs were fixed in the UK, effectively banning the use of mortar without the use of additional mechanical fixings. Overall, the revised BS 5534 has largely been embraced by the industry and has had a hugely positive impact on the security of pitched roofing in the UK. This can be seen in the significant shift over to the use of dry-fix systems for most new housing projects. However, there have been some concerns that not all roofing projects, particularly re-roofing jobs, are following BS 5534 requirements. There have also been some queries about the use of BS 5534 on older roofs, particularly on historic and listed buildings. In addition, a number of significant issues have arisen over the past four years surrounding the application of roof underlays and the classification of their wind uplift resistance. 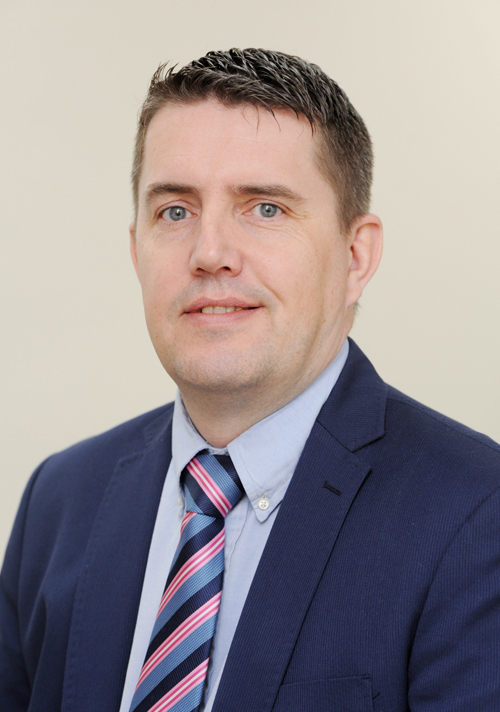 These concerns were seen as so important that they have been addressed ahead of the next five-year review of BS 5534, which is due in 2019. As a result, BS 5534:2014 + A2:2018 was published on February 28 and introduces several amendments, as well as clarifications of the scope of the Standard. Following a four-month transition period, it will be effective from July 1, 2018. 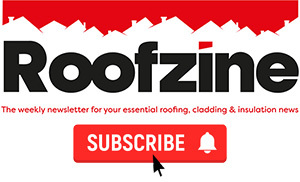 But what are the changes and is there anything that roofing contractors need to do differently? 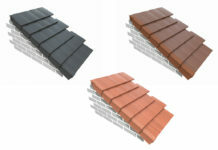 BS 8612: Dry-fixed ridge, hip and verge systems for slating and tiling – specification, has now been added into BS 5534. This means that from July 1, roofing contractors may not see it written separately into specifications but, under BS 5534, they are required to use BS 8612 compliant dry fix systems. Not using one would be in breach of both of the standards. BS8000-0: Workmanship on construction sites – part 0 Introduction and general principles, has also been added into BS 5534. 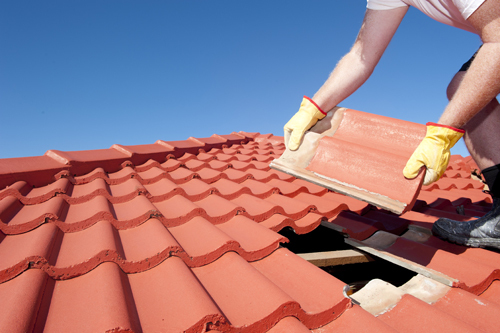 The addition of the phrase ‘for normal re-roofing work, including repairs’ has been added to the scope, to make it absolutely clear that re-roofing and repairs are covered under BS 5534. This is a really important clarification because any roofer not following the standard is certainly taking a risk and not covering their own liability, particularly given the increasing instances of extreme weather in the UK. Ensure underlays are installed with a maximum 15mm drape – The amendments to BS 5534 recommend a maximum drape of approximately 15 mm. This prevents the transfer of wind loads to the roof covering for which it has not been designed to resist. Avoid leaving underlays exposed for any length of time – Over-exposure to UV light could lead to premature failure of underlays. Therefore, BS 5534 now states that in certain conditions, particularly if there is persistent heavy rainfall combined with subsequent severe freeze / thaw conditions, an underlay should not be exposed for more than a few days. However, it does say that if an underlay has to be left without a roof covering for a period of time, when adverse rainfall and weather is expected, a tarpaulin or similar protective sheeting may be used to protect the underlay until such time that the roof covering can be completed. 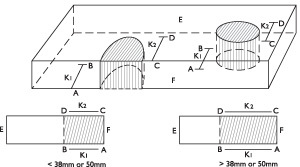 Counter battens – When counter battens are used above an underlay, it is important to ensure that the eaves detail is designed so as to avoid troughs and / or a negative slope, and to allow any surface moisture to drain effectively into the gutter. Check underlay Zonal Classification label – the updated BS 5534 clarifies the classification criteria for underlays, particularly in relation to their application in the various UK exposure zones. 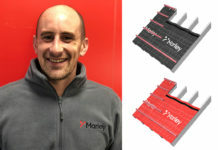 Contractors can have peace of mind that Marley Eternit’s range of breathable and non-breathable underlays meets all of the requirements included in the updated BS 5534. 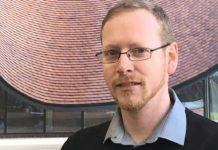 Since the introduction of the revised BS 5534, some architects and building inspectors had expressed concern about whether it was relevant for extensions to historic and listed buildings. 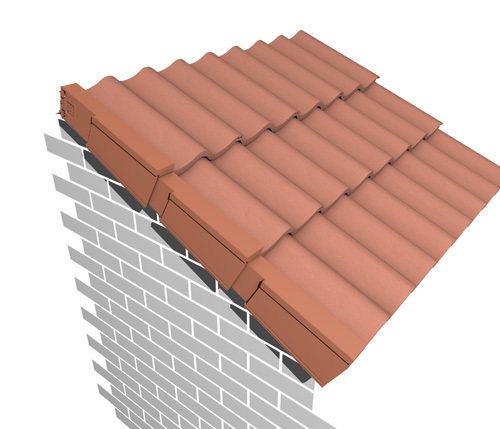 There have been queries about whether it is possible to apply BS 5534 wind loading calculation methods to some particular tiles or ridges. It can also be difficult to find a practical or acceptable aesthetic way to fix the tile mechanically on the roof of some listed buildings. The revisions to BS 5534 clarify this situation and the standard now states that the recommendations may not always be appropriate for old roofs, especially for historically or architecturally important buildings. In these cases, it is now recommended to consult with the local planning authority or an appropriate conservation organisation. Roofing contractors should also take note of some new advice for fixing baby ridge and hip tiles. These are only recommended for low level roof details, such as bay windows and porches, no higher than 3m and may be bedded using only mortar, subject to self-weight being sufficient to resist the wind loads.